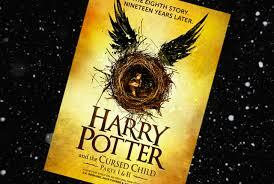 Two weeks ago, there was much excitement as the "new Harry Potter book" emerged on the scene. The expectation was enormous and, of course, the critics were there ready, willing and able to find fault and dash hopes of all Potterites everywhere. But I have to say, in my eyes this story did not disappoint. Here are a few factors to consider while reading Harry Potter and the Cursed Child. It's a play script. No, it hasn't been put into 'book form'. It's not a novel of the play. JK did not go back on her promise to not write another Harry Potter story...it's the script of the play which opened in London on the same night. So, we do not get the paragraphs of description setting the scene, the long explanations of events in the wizarding world which have led us to this place or the involved character descriptions. Why would we? We already know this world. A lot of us have grown up with it. So as such, we should already be prepared to suspend our disbelief and immediately enter into the drama unfettered with explanation. And enter we do. Within a few pages, I was already there, in Hogwarts, held in the unfolding tale as if I had never left. I won't give way to spoilers, in case you haven't read it yet. But just to give you the basics; the play opens with the very last scene from the last book. Adult Harry is standing on Platform 9 3/4, seeing his sons off to Hogwarts. The eldest, James, has already been before, but it is second son Albus' first year. He's nervous and feels he has too much to live up to; afraid he'll be a disappointment and won't measure up to his legacy. And in that very real emotion (which of us had felt we weren't enough) that the play really takes off; it's were it lives and breathes. This isn't so much a "Harry Potter" story, as it is an "Albus Potter" story. A nearly quintessential middle child, Albus is struggling with his place in the world, caught in the drama of being the son of a very famous wizard, feeling very much like the 'spare', he seeks to make his mark in the world, to right old wrongs that still haunt his father and to emerge as himself...to be seen as who he is, rather than in relation to who his parents are. The action is strong, dramatic and filled with feeling. There are times when you want to cry out, No! Don't go there! Do you know nothing?! ; but the reader is held with him every step of the way. Don't be afraid to read this book. It will not change any of the magic you felt in reading the series. Rather it adds to it. There has been a question as to whether we should revisit our favourite childhood characters as adults and whether this will taint our memory of them. But Harry figures so little in the story. He is the backdrop which makes the action occur,; the catalyst to the events. It is, well and truly, Albus' story. There are a few bits of dialogue that come off as rather twee, for example the use of the phrase "Thank Dumbldore" instead of "Thank God", but in the context of past events in the wizarding world, these can be easily forgiven. The story is marvelous! The characters, both old and new, are well conceived, well developed and thoroughly approachable. It very nicely rounds off the Harry Potter sequence and gives us a bit more closure and knowledge. Harry Potter and the Cursed Child is pure magic. Just read it...you really need to read it. Fantasy fiction is such an important genre for children (and adults) to have in their lives. It gives a safe platform to address the quandaries and fears we face day to day, as well as a notion that any problem can be solved, or at the very least, worked on. There is a freedom and autonomy in fantasy that is lacking in more realistic fiction and helps the reader develop more imaginative pathways to navigate through the world. And the escapism is vital...particularly as so much of what we live with, what our children live with day-to-day can be so overwhelming and out of our control. We all need a break and to recharge. So here are a few extra wonderful fantasy books that you will all love. They may not be Harry Potter, but they are fabulous! I have a full review elsewhere on this blog, but to summarise; After Grandmother Sylvie is rushed to hospital following an attack, Ivy and Seb Sparrow find themselves whisked away to a world that lies just beneath our own ...a world where ordinary, everyday objects take on thoroughly uncommon uses. You'll never look at a belt or a toilet brush the same way again. Absolutely loved it! 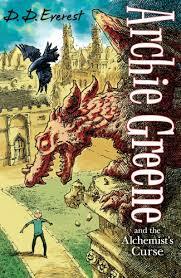 When Archie Greene turns 12, he is given a very strange book as a present from an unknown sender. He leaves his grandmothers' care to join his cousins in Oxford and discovers his role as a Flamekeeper - a guardian of magical books. Exceptional concept and story-telling make this series a must read. In a future world ravaged by flooding and dirty, poisoned waters, land is a rare commodity. 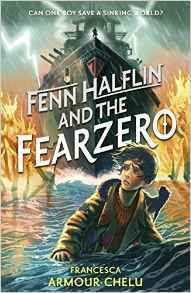 Into the this world was born Fenn Halflin. Secreted away for most of his childhood, Fenn discovers the truth about his past and why he is such a threat to the Terra Firma and their wicked leader, his life takes a dangerous turn. Exciting and simply brilliant! Oddball kids go missing, dinosaurs are living underground, a wild bear is reeking havoc in the streets...strange things are happening. And it's up to Jack, new recruit to the Ministry of Strange, Unusual and Impossible things to find out why. 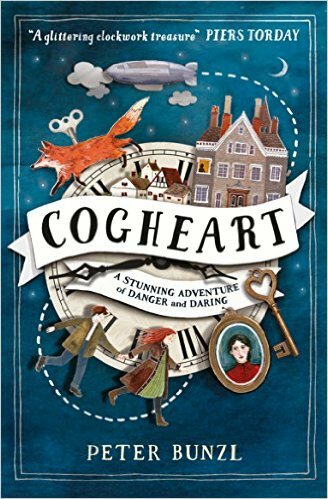 Incredible story, great characters, brilliant pacing and wonderfully laugh-out-loud funny! Lily Hartman, longing for the life of an air pirate, finds herself on the run for her life after her inventor father disappears in an airship wreck. 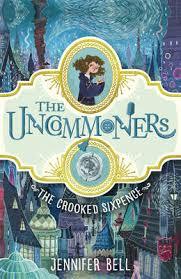 With strange, silver eyed mechanicals hunting her down, she, Robert, a clockmakers son and Malkin, her faithful clockwork fox escape arson, murder and evil folk set on uncovering her fathers' secret at any cost. Brilliant steam-punk fantasy! Loved it! Two young boys at the beach are whisked away (by the power of their own imagination) on a wonderful pirate adventure. 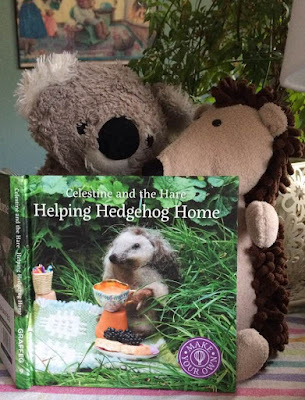 With wonderful rhyming text and Oxenburys' classic-style illustrations, this will delight. There isn't a cloud that Franklin can't spot; big ones, small ones, fluffy light, silly ones....But when Scruffy Dog jumps on board, things change for Franklin...how can he concentrate with Scruffy creating so much distraction? I love Tom McLaughlin! This illustrations are fantastic; the story of friendship and cloudspotting is marvelous! 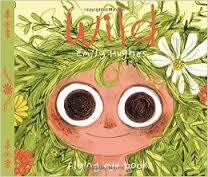 A beautifully illustrated, simple clear story about a little girl with a fantastic gift for hiding. Can you find Heidi? Enchanting and fun! This story will sound familiar to everyone who has had a day at the beach with little ones. On a day out, Little Bear takes his brand new kite to the beach. But with the beach so busy, it isn't long before Little Bear gets lost. Mama and Papa search everywhere for him, but not to worry...a clever bear with a kite can't stay lost for long. Fun adventure for everyone! 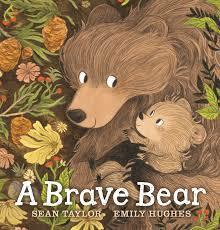 I am a huge fan of wordless picture books, and this is one of the most evocative, beautiful and thoughtful books I've ever come across. 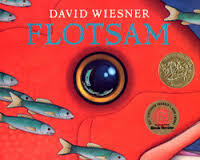 A bright, curious boy goes to the beach in search of flotsam (any objects washed up on the shore) when he discovers an old, underwater camera. In his curiosity, he develops the film and what he discovers is simply incredible. A book you can spend hours pouring through and make new discoveries every time. Just a few ideas for you...enjoy! So, here we are in August. I don't know about you, but for me summer has really flown by. In another months time, we will all be settling into 'life as normal'....kids back to school, holidays simply a memory, preparing for the winter months and...no...I won't say it. But, we still have August. It is a strange month. Too hot in some places, too cold in others, blazing sunshine or pouring rain...the weather does what the weather does. 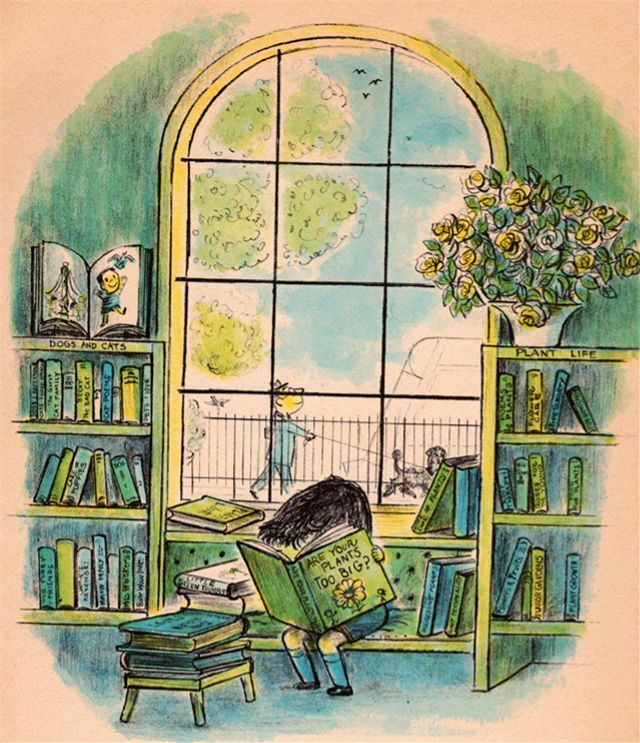 Regardless, it is the perfect time for reading. So many sources have been handing out summer reads suggestions, so I thought I'd jump on that band wagon as well. But, I also want to write a bit about why summer reading is so important for everyone, but especially for children and young people. When we consider the importance of reading, we all too frequently think of it in terms of educational purposes. We need to be able to read to get along well in school and to retrieve information; in short, to learn. This is putting the cart before the horse. Many schools send their students home for the summer holidays with lists of books they should read over the summer, and this is great. 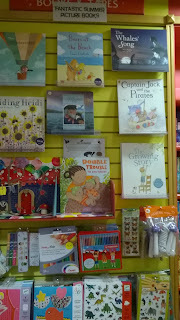 But it also fosters this association of reading and the learning environment. Especially as the number of years spent attending school increases, the link between books and school increases and it begins to erode the concept of reading as a pleasurable activity...and as a personal one. And it is neglecting a very significant factor. It is far more important to create a habit of reading for pleasure. Those other factors will engage afterward, and so much more comes from reading for pleasure that make significant impact on the whole life and its' quality. To understand this, we need to think about how reading works. Did you know that there is no such thing as a natural reader? None of us are born with a greater ability to read than others. This came as news to me, too. And then, a number of years ago, I found myself watching a TV show called "Why Reading Matters". While I could (and many have) sit and pick apart the content of this show, a few things really stuck out that gave me pause for thought. One such item was the explanation of what the human brain does when it is confronted with the printed word. Science has spent decades attempting to find the 'reading centre' in the brain. This makes sense because, if we can find the 'reading centre' in the brain, we can find out what goes wrong and then help people with dyslexia and other reading challenges. In short, we can fix it. But, as it turns out, there isn't a 'reading centre' in the brain. What happens to facilitate reading instead is quite extraordinary. As we learn to read, the brain creates its' own pattern of areas and pathways. If you map this this (and science has done so) what you discover is an intricate system of these areas and pathways all linked together in a pattern that is as individual to each of us as a fingerprint. Interrupt just one of these, and you have a problem reading. So how do we 'fix' it? Read more. 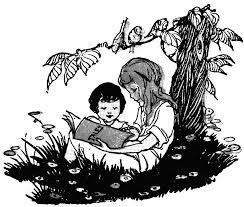 To get people with reading difficulties to read more, they have to read for pleasure; things they want to read, things they like. I don't think its' any great epiphany to understand that, as human beings, we prefer pleasure to struggle or boredom and that we all like different things. 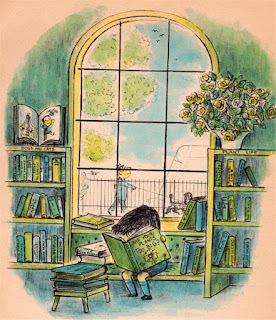 While it is important to keep in mind ability and challenges when giving a book to a child (or anyone) that can't/won't read, it is equally, if not more important to consider what they will like...what they want to read. So personal autonomy and choice also becomes a significant factor. Very simply, if it is a book they choose, they are more likely to read it and to associate reading with their own accomplishment, pleasure and satisfaction.... and then they will want to read more. Think of it this way. When we read, we are reading words. What are words? The written expression of the noise that comes out of our mouths. But printed words in and of themselves have no meaning apart from what meaning we assign to them. They are, in essence, random symbols. Printed words are made up of letters; the alphabet; more random symbols....or, if you will, pictures. Once upon a time, a long, long time ago, someone somewhere decided that these random marks we call the alphabet stood for something. And when you put them together, that stood for something else. In the Middle Ages, a vast portion of the population had no ability to read the written word (and generally, the written word was much more scarce than it is today, so they didn't have it.) But, they could read iconography...paintings, sculptures, images...and that told them their story, who they were, how they were to be. With the advent of the printing press and the printed word becoming far more commonplace, these random symbols (pictures) of letters and words took on more and more meaning and more and more people could read through time until the present day....but, at its' heart, we are still always reading pictures. And, if you take the time to look at picture books, you find an intricate and sophisticated network of iconography that fires the brain on to understand more and to assist us in interpreting these odd little printed symbols that we call words. 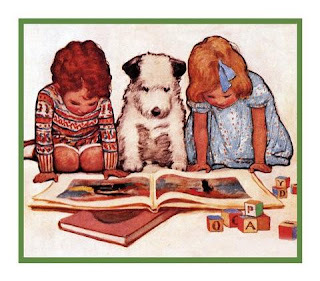 I would strongly recommend holding on to a vast array of picture books, regardless of how old your children are or whether you even have children or not....it will enrich your life. Now...a little more on how reading works. So, we have this brain, constantly interpreting visual symbols, reading pictures, developing the ability to read the printed word and creating clusters of areas and pathways all throughout the brain, linking them together and, quite literally, expanding our ability to think. The more pleasure we, individually derive from this activity, the more it grows; the more intricate and incisive it becomes. And all these little pathways and clusters of areas all over the brain have impact on the areas that actually exist there naturally. The visual centre, the hearing centre, centres of movement, understanding, empathy, imagination, innate intelligence all become affected. We do all different kinds of activities with more ease. It's true...reading expands your mind and allows you to think more creatively and faster; to solve complex problems with greater facility and, in difficult times, to see your way through...to consider options. It fires your dreams and ambitions. In this complex and, at times, overwhelming world we have created...tell me again why you don't have the time or desire to read. I wouldn't want you to think for one second that I want you to force children to read. That won't help at all. What I strongly suggest is that you provide them with the materials and opportunity. Don't leave it to the schools... our children take their strongest cues from us, at home, in the 'real' world. And, most importantly, read to your children. Every day. It not only increases their ability to read and learn. It allows them to associate reading with pleasure, comfort, and security. 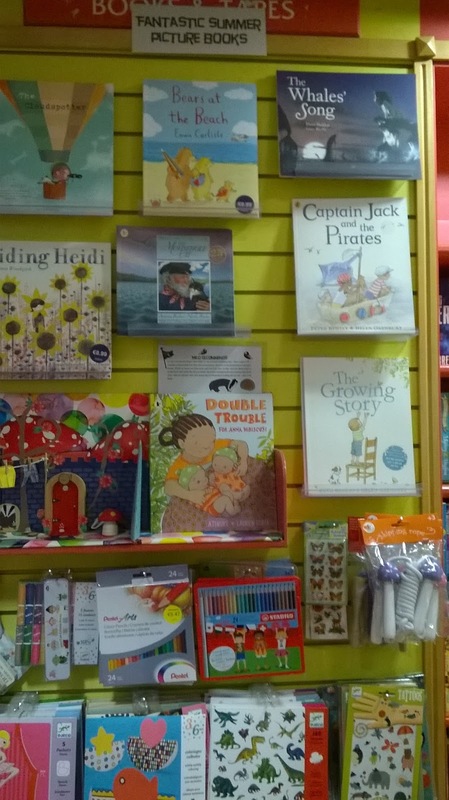 Reading for pleasure during the summer holidays allows them to develop confidence and autonomy. It gives them a view of others lives, the world in general, places they may not see, things they may not experience. And it supports and reinforces their own world, and themselves. It makes them feel less alone and isolated...and it helps them to think and grow. Don't stop reading to them simply because they can read by themselves. Read to them, or with them as long as you can...keep reading to them when they are teenagers. (Yes, you may have to grab them as they fly past, but do it.) Not only do they need you to relate to them in this non-threatening and secure way, but you need to read what they are reading to remember and understand what their world is like now. It's important to take the time. That's a lot to consider, and I hope you will. Here's the first part of 'Why Reading Matters" (part 1 of 6) for your consideration. You probably won't agree with everything she says here and good for you! It means you're really thinking about it. But it will be fascinating watching and will offer a change in your perspective. Enjoy!